Golden Girls is a term many of you might be familiar with and perhaps readily associate with a TV show that was popular in the late 1980’s and early 1990’s. Starring Bea Arthur, Betty White, Estelle Getty and Rue McClanahan, it featured four women who were “young at heart” and full of life! Each had their own distinctive personality and yet they all got along (most of the time) famously! 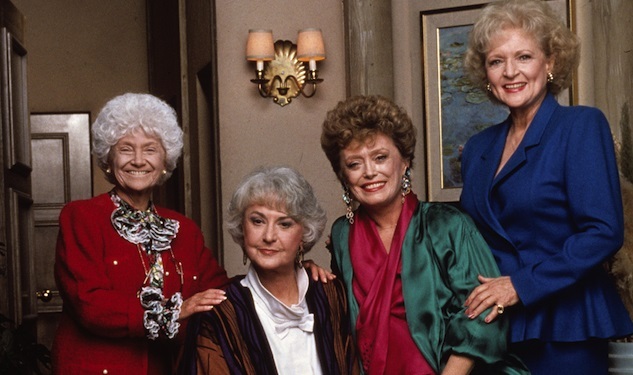 Now, Golden Girls has become synonymous with a concept that might be new to you but which mirrors what happened on the show – the home sharing movement. When the “Golden Girls” home sharing concept was first introduced to Canada, as Golden Girls Canada, it quickly grew to include the words “and Guys” because the home-sharing movement is by no means exclusive. As Bonnie Moore states in her book, How to start a Golden Girls Home, whether men or women “our common attribute is that we are single, mature adults.” (1) Some are straight she goes on to say, while others are LGBTQ. The point is that each has probably faced some life-altering circumstances such as divorce, loss of a loved one, financial difficulties or even just plain loneliness. The name became inclusive of anyone who wished to explore living with others in a stable, affordable and companionable way. There is no doubt that “golden” is also a term we have come to associate with elder living. As explored in our first blog, often those years post-retirement (or post age 65 whichever comes first!) are referred to as “the Golden years.” Since gold also tends to imply something of value, and we can probably all agree that having friends is valuable on an emotional, physical and companionship level – it just seems to make sense the word “golden’ features prominently in our name. So what is Golden Home Sharing Connections? Home sharing can take many forms. Sometimes it’s two women sharing an apartment and sometimes it’s four women and/or men sharing a house together. The home may be owned by one of the residents or all of them together or it may be rented. The Golden Girls (and Guys) Canada database is structured to help individuals who have a home find potential home-mates, both as a source of rental income and for companionship and help around the house. It also helps individuals looking for affordable accommodation to find potential homes. Now, when you are searching the web for home sharing options you will find Golden Girls (and Guys!) Canada under the umbrella of Golden Home Sharing Connections – because that’s what we do, connect people of all ages, faiths, gender and race who might be interested in sharing a home and common living expenses. Our focus is on seniors and our senior specialist is Dorothy Mazeau, a Licensed Realtor and Accredited Seniors Real Estate Specialist (SRES*.) Dorothy, who is living the “golden years” herself and who has shared homes for over 40 years, is ideally suited to help others explore their home-sharing options. Now you know. Whether you are searching for the Golden Girls, Golden Girls (and Guys!) Canada, Golden Home Sharing Connections, or simply “golden home sharing,” you’ll find us. We are specialists in helping folks find like-minded people to share the journey of life while sharing that special space we all like to call home! Live Life like it’s Golden – Home matching services for seniors by accredited Seniors Real Estate Specialist Dorothy Mazeau! There’s never been a better time for HomeSharing! Age is Just a Number! Or is it? The Golden Years just got more Golden!